The website include video, document downloads, contact forms and a login to a private area for people to join whihc also is role based allowing administration access to specific people and access to different parts of the website under roles. ClipCube also assited in the proofing of content and stracture of the website to ensure ease of navigation. 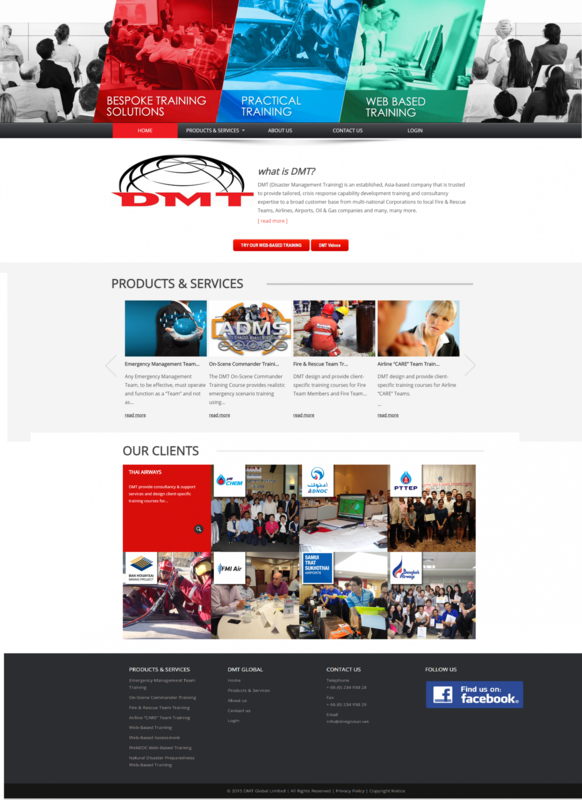 The website is fully SEO compatible and links to the DMT Facebook page. The client has chosen to manage the site themselves.